The Winfield Gallery is delighted to announce the exhibition Carmel Views From the Turn of the 20th Century: Paintings by Lockwood de Forrest opening Sunday, September 1st through September 30th. Carmel Views From the Turn of the 20th Century—a century after Plein Air Pioneer Lockwood de Forest painted them, the dazzling variety of his California landscapes and seascapes is finally coming to light. Uncovering a huge body of work by an eclipsed painter of 19th century vintage is a rare feat. Some 50 paintings of the greater Monterey region have emerged over the past few years. Twenty-one of those “moods of Monterey” are on view at the Winfield Gallery during the month of September. 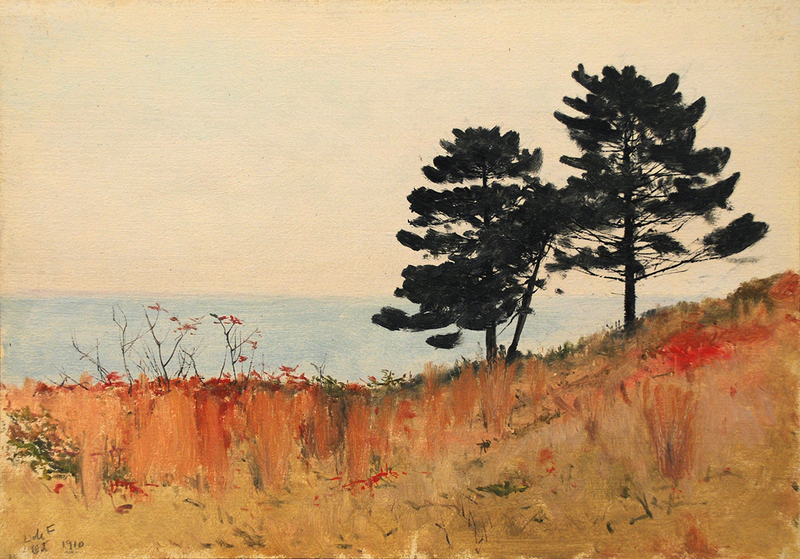 Painted between 1904 and 1920, the selection ranges from Point Pinos dunes to the Big Sur headlands, with a preponderance of seascapes featuring Pebble Beach, Carmel and Point Lobos—favorite haunts of the artist. 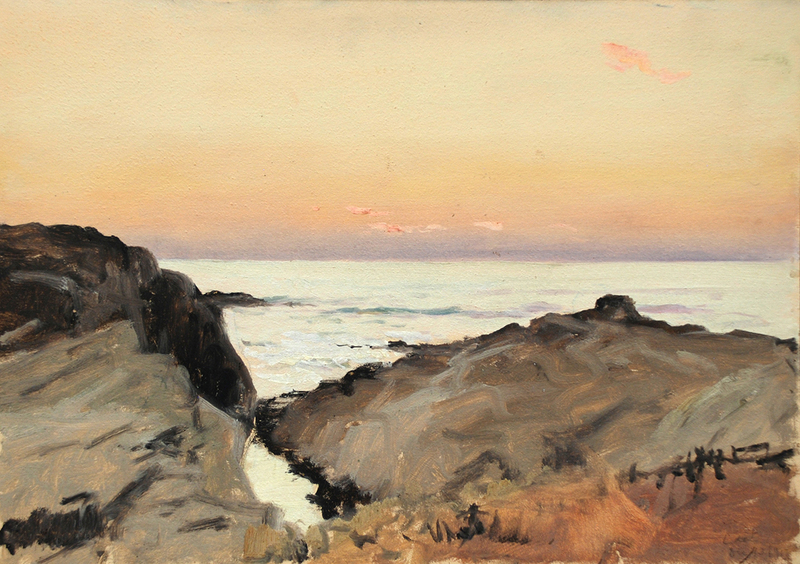 The Monterey region was one of the spots de Forrest explored repeatedly on canvas, seeking to capture every facet of its topography in every condition of light and atmosphere; “pictorial hourlies” it could be described, by one of California’s most prolific plein air pioneers, until recently unknown. Uncovering a huge body of work by an eclipsed painter of 19th century vintage is a rare feat. When that artist’s sensibility and technique connect so directly with 21st century viewers, it is cause for celebration. Winfield Gallery was founded in 1989 by Christopher Winfield. Its principal focus is the representation of contemporary art by established, mid-career and emerging artists whose diverse practices include painting, drawing, sculpture, ceramics and photography. The gallery hosts multiple exhibitions a year and maintains a deep commitment to promote our artists’ careers. Winfield Gallery collaborates with museum curators, produces catalogs and books, establish relationships with the press and continue collector education and development. The gallery works to create an atmosphere that builds bridges between the creative work, collectors and art enthusiasts at all levels. Winfield Gallery also specializes the resale of select works of art from the 20th century by artists and offers an effective and confidential alternative for the resale of important works of art from and on behalf of private individuals and institutions.